Michael O. Albertson (1946 - 2009) was the L. Clark Seelye Professor at Smith College where he taught for 37 years. 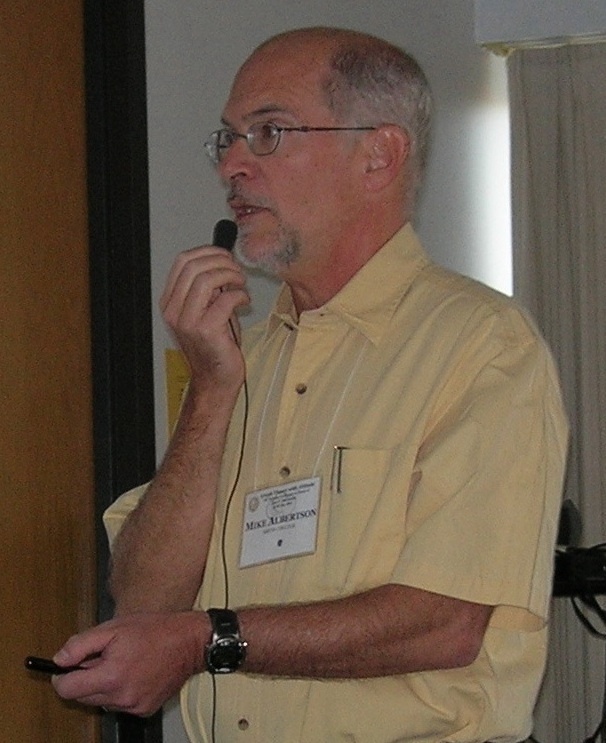 He was chair of the SIAM DM Activity Group between 2000 and 2002, served on the SIAM Coordinating Committee for the annual AMS-MAA-SIAM Joint Math Meetings from 2006 to 2008. Professor Albertson produced research and scholarly work for 40 years and collaborated with many, including undergraduate students.